The group behind the successful redevelopment of a waterfront park in downtown Kingston says Ontario Place site would be ideal place for a similar facility. They say such a swimming pier would reconnect Toronto's youth to Lake Ontario. The group behind a popular swimming pier in Kingston named in honour of Tragically Hip lead singer Gord Downie wants to bring the idea to Toronto and says it has found a perfect spot to build it at Ontario Place. 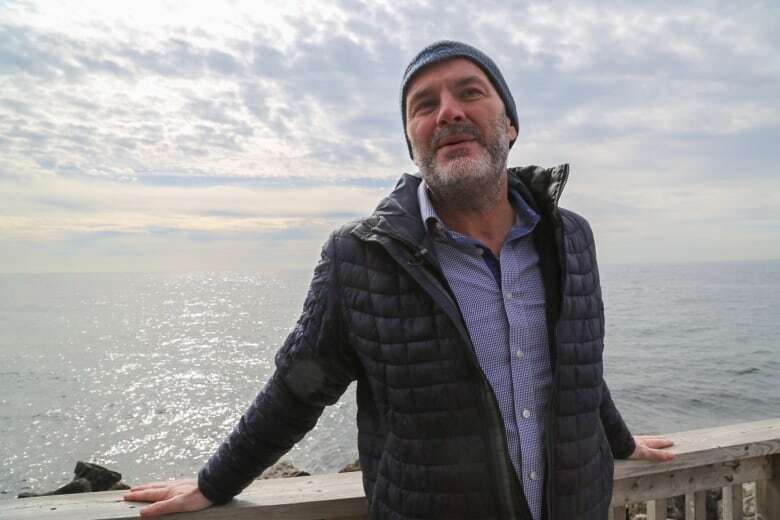 Mark Mattson, president of Swim Drink Fish Canada and co-founder of the Lake Ontario Waterkeeper, said the response to the Gord Edgar Downie Pier, which opened on July 26 at the newly restored Breakwater Park in Kingston, has been overwhelming. "We just went through this incredible summer in Kingston just down at the other end of the lake. I've been asked where's the next one, and I think this is it right here," said Mattson, standing near the west island of Ontario Place. Members of the band were part of the commemorative ceremony for the pier which is close to where Downie grew up and also named after his father Edgar. The project, which was budgeted at $5 million, was supported by private donations including a $500,000 contribution from the W. Garfield Weston Foundation. Mattson hopes the same energy can be harnessed to bring a swimming pier to Ontario Place, and his group has been sampling the water in the area over the summer before settling on the perfect spot. "This is the cleanest water in Toronto. It's arguable whether Hanlan's Point and Gibraltar Point, which is out on the island, are as clean," said Mattson. "Believe it or not this water right here ... is not impacted by a lot of the run off from the city." 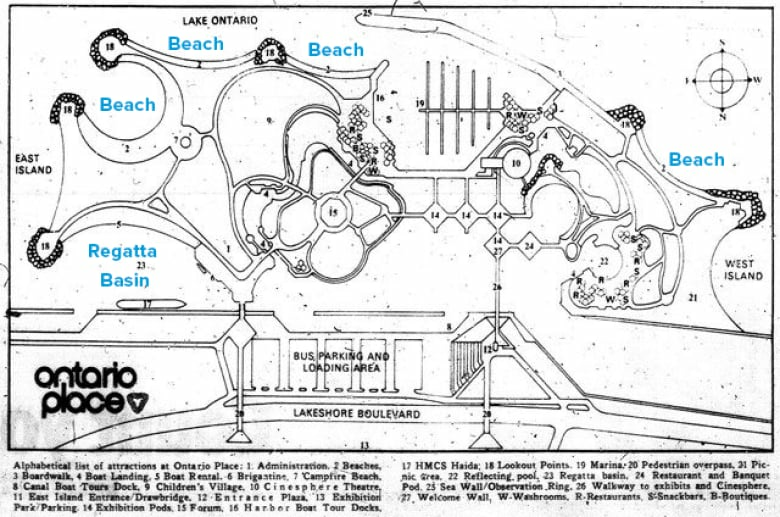 He points out that there have been swimming piers in Toronto in the past and that even Ontario Place used to have many man-made lagoons for swimming which it promoted. 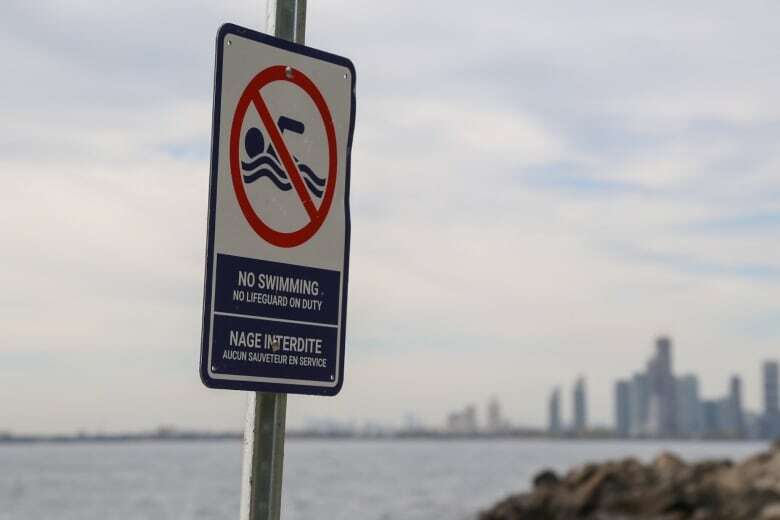 But Mattson says people in Toronto lost their connection to the lake when they became afraid of venturing into the water because of pollution or there was simply no way to get in. "So many of the kids in Toronto have no access to the water. They don't have cottages up in Muskoka," he said. "I know the joy that I see when kids jump off the Gord Edgar Downie Pier, and I think that's what we need right here." Staff at Ontario Place said they could not speak on the record about their reactions to the idea. 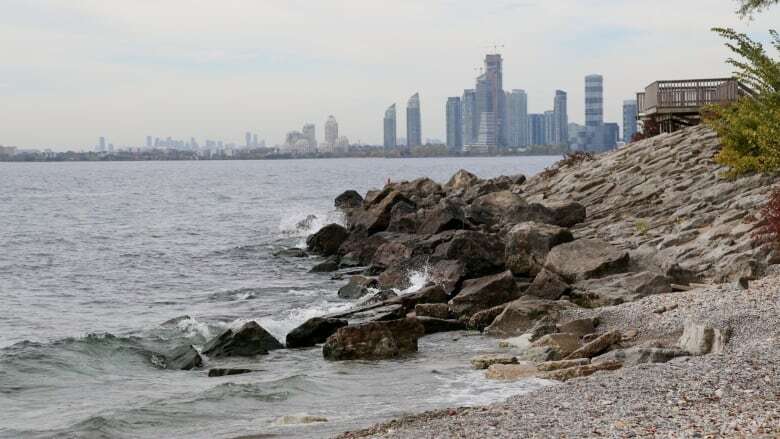 There have been concerns that some of the reclaimed shoreline along the man-made islands might have construction debris like rebar and may not be safe for swimming without remediation. The 96-acre Ontario Place was closed in 2012, and the government announced that the public sections of the park would be redeveloped. While portions of the site were reopened as Trillium Park and the William G. Davis Trail in June 2017, critics of the previous Liberal government say the publicly owned facility has not lived up to its potential. "The previous government bungled this file," said Richard Clark, director of communications for Minister of Culture and Tourism Sylvia Jones, in an email to CBC Toronto. "We're going to take our time to get it right. We'll have more to say in the future." Finance Minister Vic Fedeli has said the Progressive Conservative government won't "close the door" on the possibility of a casino at Ontario Place. Meanwhile, Mattson hopes that whatever the plans are for Ontario Place, a public swimming pier out into the lake could be a possible feature attraction. "If we are going to have voices protecting the lake for years to come, we have to somehow connect them to it. And the best way to do that is through beaches and parks and places where they can get into the water," said Mattson.